The Mate2GO smartphone holder has an intelligent, simple design that delivers convenience as well as safety. The gadget is likely to fit your dashboard as long as your vehicle is not featured on the product’s “incompatibility” list. With a flexible shape, the gadget can accommodate a variety of phone sizes and phone angles when a smartphone is placed in the holder. 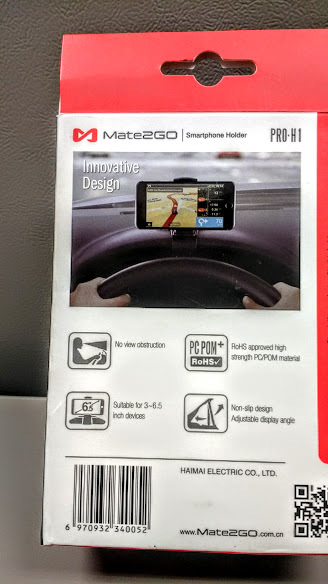 For anyone wanting to minimize distractions in their life and increase their driving safety, the Mate2GO is a great, affordable choice for a dashboard-mounted smartphone holder. Want to Maximize Your Trunk Space? Check out this nifty organizer. 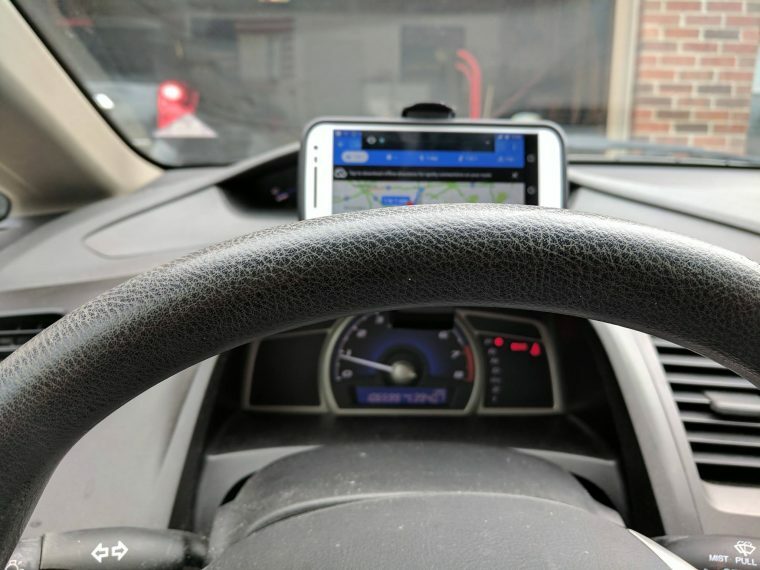 The Mate2GO EZ.Holder claims to be a handy gadget for clipping your smartphone to your dashboard. Drivers can access their technology while staying focused on the road due to the innovative HUD design. Per the seller’s listing on Amazon, the gadget can fit smartphones up to 6.5 inches wide, including the iPhone 7 and Samsung Galaxy S7. Potential buyers should note the seller’s caveat on the Amazon listing under the “Product Description” heading: the “Partial Incompatible Vehicle models” gives a list of automobiles that are not compatible with the Mate2GO Smartphone Holder. From my experience, the product ships quickly via Amazon. The smartphone holder came packaged in a smooth, attractively cardboard case with classic red, white, and black colors that echoed the modern minimalism of the gadget itself. While there was damage to the box that was received (either during shipping or warehouse storage), opening the small box revealed a protective plastic casing which delivered the product undamaged. The manufacturer provides instructions both on the Amazon listing as well as on the packaging itself. The instructions on the package were simple enough so I didn’t have to use the additional instructions provided online. 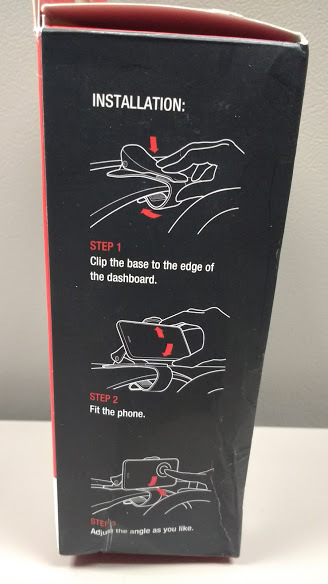 Both the front and back of the cardboard case have clear pictures of where to place the phone on your dashboard and how the phone should be placed inside the Smartphone Holder opening. 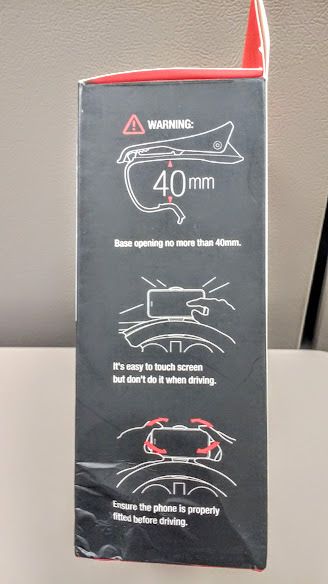 One side of the cardboard box features safety warnings to enhance the driver’s safety while using the gadget. 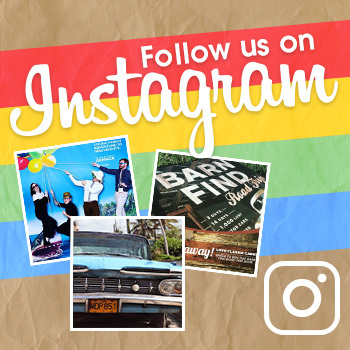 The other side of the box displays a three-step installation process with illustrations, for more visual learners. Looking For a Cool Truck Accessory? Keep items in your truck bed dry with this smart truck bag. 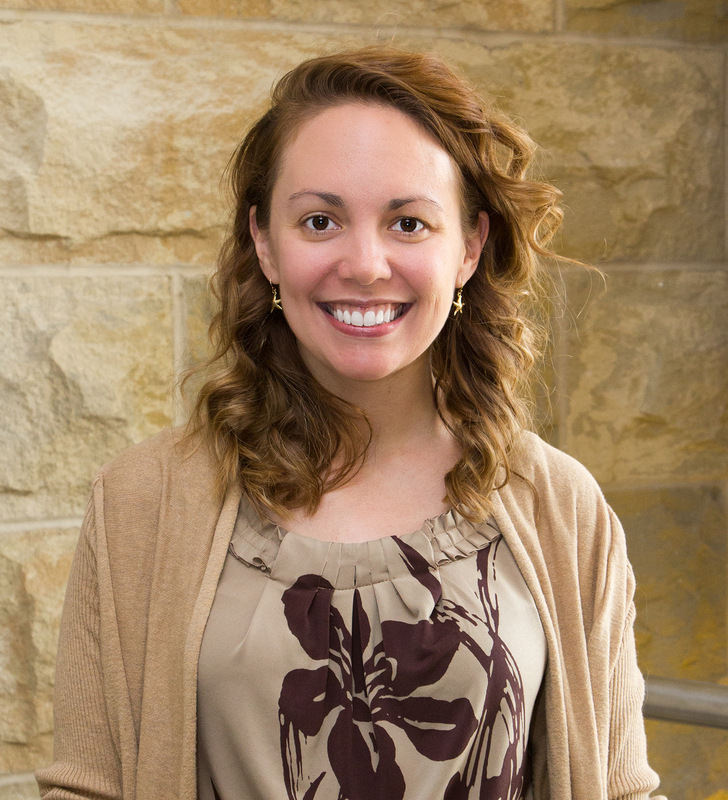 Overall Assessment: Does It Do What It Claims? 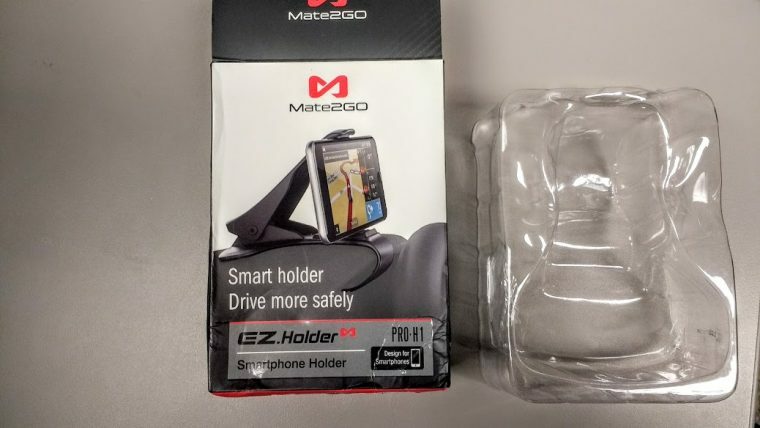 The Mate2GO Smartphone Holder was an overall great product, for those who take the time to read through the entire product listing on Amazon. Interested buyers should make sure to read the “Partial Incompatible Vehicle models” list to make sure that the gadget will work with their particular vehicle. That is the one critique I have about the product. It simply does not work with quite a few popular vehicles from Honda and Toyota, as well as a few Nissan and Ford models. Certain vehicle dashboards just aren’t designed to accommodate a dashboard-mounted object of any sort, because it blocks the speedometer. It’d be great if the manufacturer could create another version of the model that would be compatible with such popular rides like the Honda Civic, Toyota RAV4, Honda CRV, and the Ford F-150. For interested buyers who do not have a vehicle on the “incompatibility” list, however, then I highly recommend the Mate2GO. The gadget is made out of a durable plastic. Though the dashboard clip part of the holder was flexible enough to slide onto the rim of the dashboard, its sturdy design seemed to indicate a long shelf life for this accessory. The spring of the holder was also taut enough to hold the phone in a snug, unshakable grip. Whether it’s a Samsung Moto or a Google Pixel, whatever phone you put in there won’t budge a millimeter. 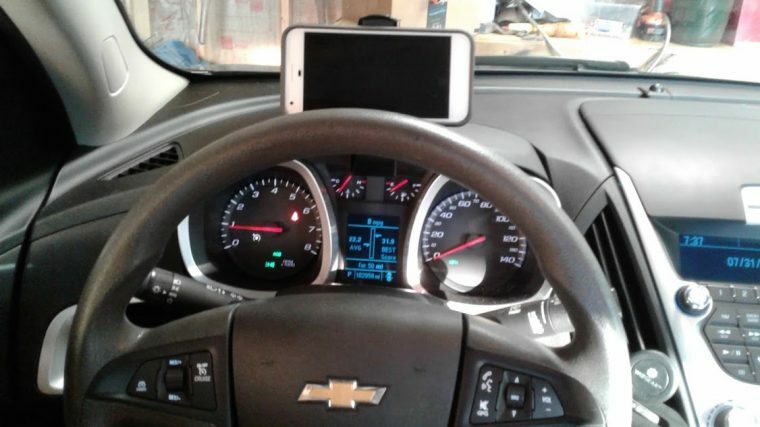 It fit quite nicely when attached to the dashboard of the 2014 Chevy Equinox I tested it in. Since the speedometer is located to the lower-right on the dashboard, the central placement that the gadget requires did not impede a view of this important information. The smartphone was easy to clip on to the dashboard. It stayed securely in place through the entire test drive which included the usual bumps and turns. Thanks to multiple rubbery grooves on the inside rim of the holder’s opening, adjusting the tilt of the smartphone was a breeze. 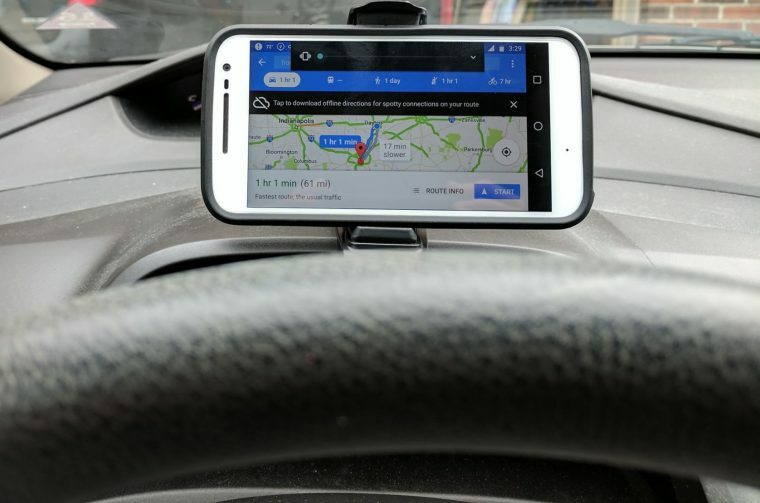 The Mate2GO Smartphone Holder definitely does what it claims. 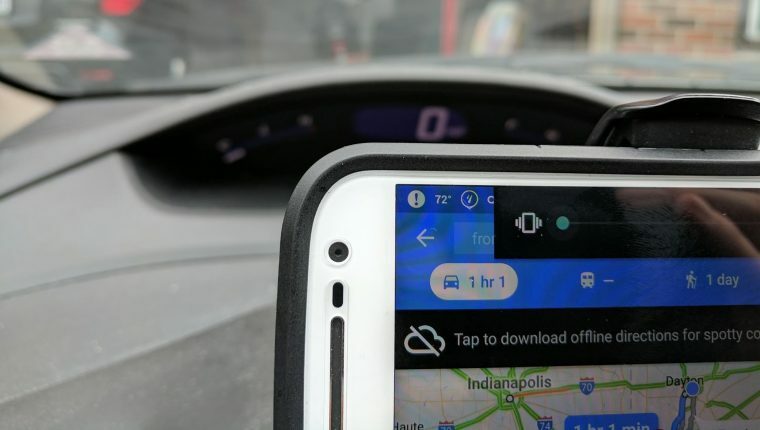 It promotes driver safety by providing a secure place to keep your phone in an easily visible place while letting you keep your eyes where they should be focused: on the road. 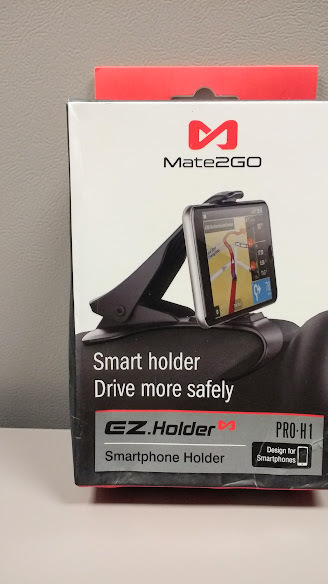 The Mate2Go EZ.Holder smartphone holder is available via Amazon and other online retailers.